Parents- Take part in a parenting study by one of today’s leading family experts. Based on his book, Raising Kids Who Turn Out RIght, Dr.Tim Kimmel gives parents a positive strategy for raising kids who can stand up to the pressures around them from the inside out with character. 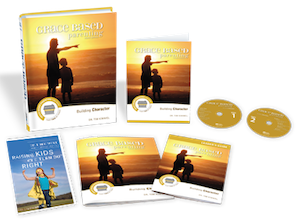 The Building Character study will provide you with practical ways to use character to build happy, confident children who can reach their true potential in the future. Parents- Prepare your kids for the biggest challenges of life! 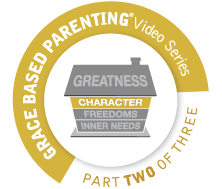 The Building Character study will provide you with the tools you need to raise kids who can survive a hostile culture, minimize the hassles of parenting, and instill character traits that a child needs to turn out right. Based on the book, Raising Kids Who Turn Out Right, Building Character will give you the confidence to raise kids who flourish in their culture by building character for life.